With Spring like weather hitting New York all last week and weekend, I finally find myself reaching for more lighter colors and less black. One of my favorite color combos as of late has been blush and gray. 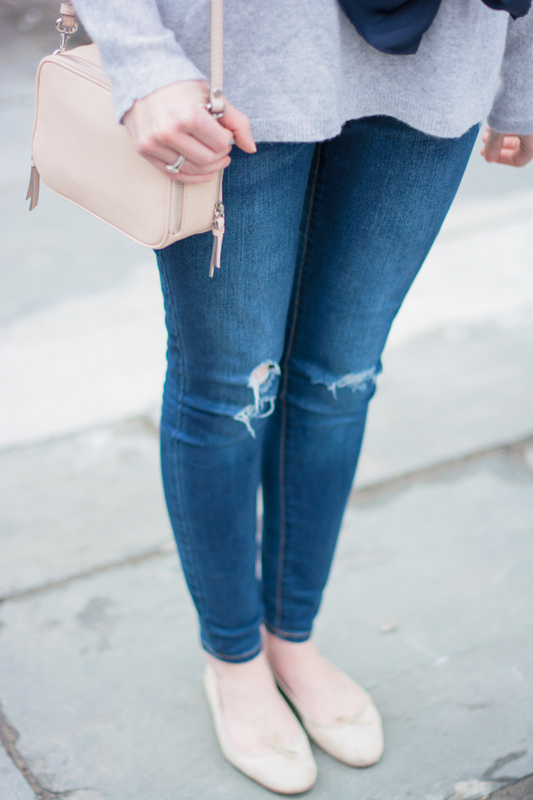 I wore this look for a laid-back Sunday and am really loving this new blush tone bag. 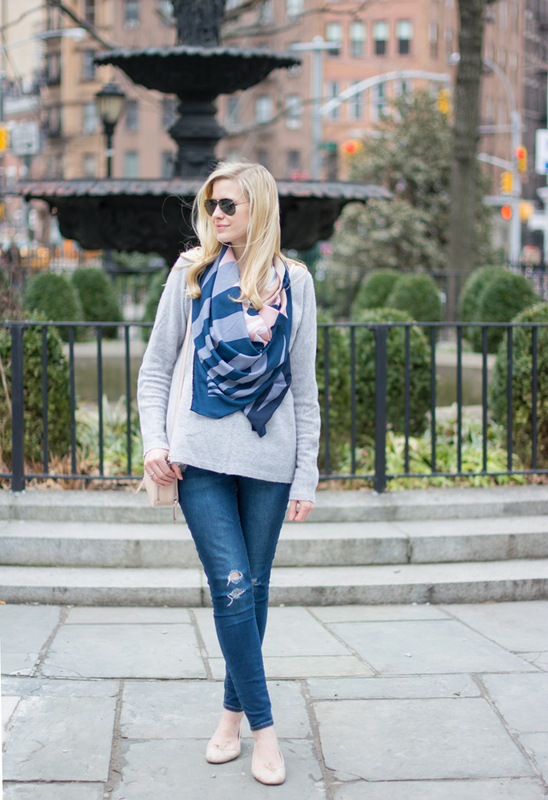 It’s the perfect size for running errands and the color is gorgeous and goes with almost anything. Blush and gray is my favourite colour combination right now, beautiful outfit! Wow! 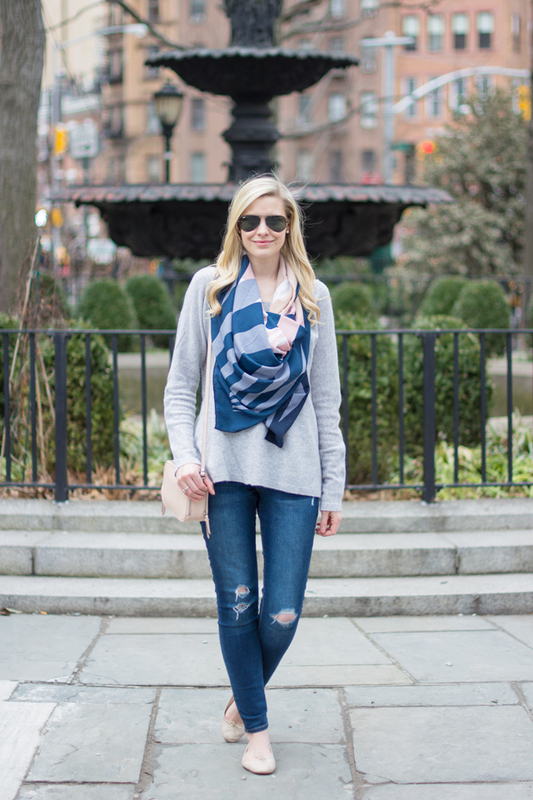 Never thought the combination of grey and blush would create a super chic outfit. And I just think adding those scarf completed this look.